I saw this morning (via Jeff Korbelik) that Cherry On Top’s Haymarket location has opened. It’s next to Scooters on 8th Street. I’ve long wondered why there aren’t more dessert options in the Haymarket. Ivanna Cone has been the dominant player for ages. Sure you can pick up some chocolate cake at Lazlo’s, or maybe a cookie from The Mill. But for most people Ivanna Cone was the obvious choice. For good reason, of course; Ivanna Cone is awesome. That doesn’t mean that there isn’t room for other choices. So ... welcome Cherry On Top! I still haven’t tried Cherry On Top or its long lost twin, Red Mango. The folks I’ve talked to seem to think they can be pricey, but that hasn’t stopped them from going. How do you like them? I’m sure many Lincolnites will be tired and cranky today because of Mother Nature’s early wake-up call, but shazaam, what a show! That was one of the niftiest lightning storms I’ve seen in ages. Daisy the Wonder Schnoodle wasn’t impressed, but I sure was. I hope everybody’s trees survived the electrical onslaught. I thought a bolt got one of our big oak trees, but the “cracking” sound I heard was just the lightning itself, not a giant limb heading toward my roof. Crisis averted. I nominate this for Least Responsible Marketing Effort Of The Month. The Greek house with the most tanning visits (regardless of number of purchases or package type) during the Fall semester will win $500 for the philanthropy of their choice. 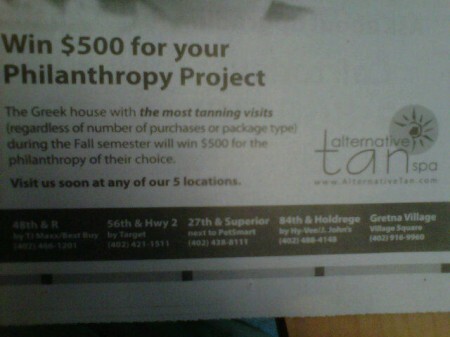 Translation: The more you tan, the more likely you’ll win $500 that you can then donate to the American Cancer Society! The Lancaster County Board has given up on the Salt Creek tiger beetle. 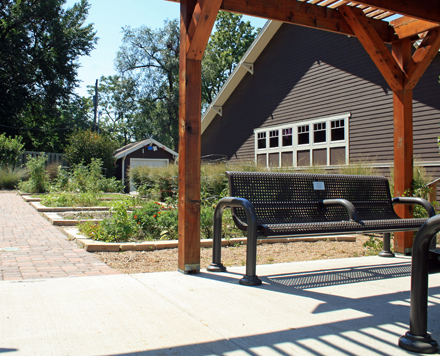 After several years of contributing a few tens of thousands of dollars toward purchasing saline wetlands north of Lincoln, this year the County won’t contribute a dime. The decision will disappoint many, but some salty marshland and a couple hundred beetles don’t stand much of a chance in a tight budget environment. However all is not lost if you’re saddened by the news. 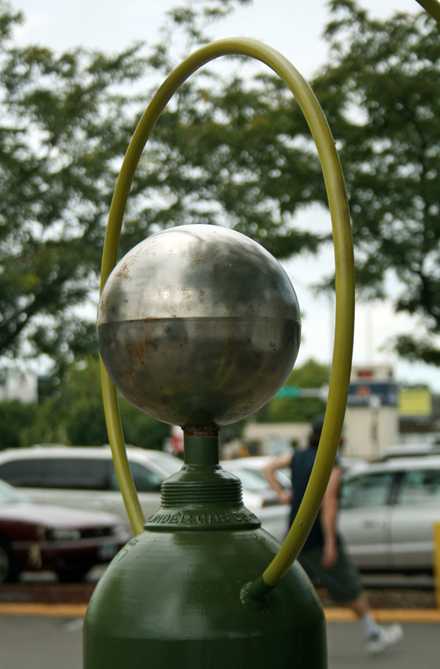 Other contributors—the City of Lincoln among them—are still in the game. For now. The Wilsons ate at Outback last night. During our meal we overheard a waitress tell a nearby table that Outback’s clam chowder is “the best clam chowder in Lincoln”. That’s a pretty big claim. Was it correct? I started to object (in my head), but then I realized that I couldn’t think of many places that even offer clam chowder. I always associate Grandmother’s with clam chowder, but that’s only because it was the first place I ever had clam chowder oh-so-many years ago. Then you’ve got your seafood restaurants like Red Lobster and Beacon Hills; I assume they have clam chowder but I couldn’t say for sure if I’ve ever had it there. In the end, I had a hard time coming up with many examples of clam chowder to even compare Outback to. So what say you, Lincolnites? Who has the best clam chowder in Lincoln? Sam’s is confirmed to be building a second location in Lincoln, this time next to Walmart at 87th and Highway 2. That’s good news for our family. We would love to buy in bulk, but by the time we make the trip across town to the current Sam’s location on North 27th we haven’t actually saved much money. There’s a good chance we’ll get a membership at the south location. Costco is also set to come to the south side of town one of these days. Perhaps we’ll wind up there instead. Some of our decision will come down to which of the two stores opens first (and how far behind the other one is). Is there a reason, other than location and opening order, we should choose Sam’s over Costco, or vice versa? I’m not well-versed in the world of bulk buys. Like it or not, you’re about to pay more taxes and fees thanks to a 5-2 City Council vote on the next City budget. The increases will help maintain existing services and even add some extra cash to the roads fund. The two dissenters, Republicans Adam Hornung and Jon Camp, didn’t offer many alternatives, which shows just how little obvious fat remains in the budget. My point isn’t that Hornung and Camp didn’t contribute to the process; quite the opposite, in fact. It’s just that we’re beyond the point where it’s easy to point at specific expenditures and laugh at the ridiculousness of it all. There were some reasonable options presented—using rainy day funds, for example—but most of the alternatives would have required fairly steep sacrifices that most Lincolnites weren’t willing to make. It was good for those alternatives to receive a lot of local discussion. This problem won’t go away any time soon so we’ll need to continue a lot of this talk in the near future. This year we were willing to pay more to support existing services. What about next year and beyond? You can probably tell that I generally support this year’s budget. I’m not pleased about the waste going into the Air Park fire station, but I don’t have a good solution to offer. We need to find a solution for next year’s budget. You know that libraries are going to be up for discussion again soon so we really need to figure out what we’re going to do about that. And add pools to the list. Surely we can find some solutions to make local pools more viable. What winners and losers did you have in this year’s budget? Lately there have been cougar sightings in York and Hall counties, and now there’s been a sighting in Kearney. But I can do one better. Yesterday our whole family saw a cougar up close and personal in Omaha! Of course, we were at the Omaha Zoo at the time. I suppose that changes the context just a bit. The Cornhusker Marching Band‘s annual post-Band Camp exhibition show is tonight at 7:00pm at Memorial Stadium (use west entrances). It’s a free event that gives Band members a chance to rehearse in front of a crowd, and it gives the crowd a chance to learn a bit about what goes on at Band Camp. If you want to go for the “extended package”, then check out the Band’s “warm-up concert” outside Kimball Recital Hall at 6:00pm. Or watch the Band march to Memorial Stadium starting at 6:45pm outside Westbrook Music Building. We plan to go tonight, although we’ll be coming from a taekwondo event so we’ll be cutting it close. Be sure to say hi if you see our ragtag crew! LES sure is having a busy month, isn’t it? Last night another 3,800 homes and businesses lost power. That’s after a couple earlier batches of power outages. Their line crews are going to find fat paychecks in their mailboxes thanks to all this overtime. I’m surprised my neighborhood (near 48th and Highway 2) hasn’t lost power in any of these storms. We have lots of large trees and plenty of overhead power lines. I suppose we’ve just been lucky. I wish the various utilities would come through and bury their lines, but I suppose I understand why that’s not economically viable—unless we’re all willing to pay higher utility rates, of course. Did any of you lose power last night? Are any of you still without power? Yeah yeah, I know I said I wasn’t going to get to Crave (29th and Pine Lake Road) any time soon. I was wrong. My father and I hit up the new burger joint at lunch today. I want to share some initial impressions. First off, Crave looks sharp. They’ve clearly thought a lot about branding. The logo, imagery, and interior are obviously the result of lots of work on somebody’s behalf. 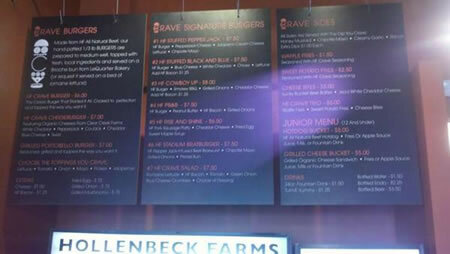 I particularly like the very deliberate linking of Crave with Hollenbeck Farms. The overall vibe is one of an upscale, locally-sourced dining experience. But while Crave looks sharp, it doesn’t sound so good. The stark interior echoes -oes -oes -oes. I know that kind of thing is hip these days—Crave has taken some cues from neighboring Chipotle, for example—but I don’t want a headache with my hamburger. Some sort of sound dampener would be nice. The menu is pretty basic. They sell hamburgers. There is a salad on the menu but let’s stop being silly. Prices range from $6 for basic hamburger to $7.50 for some of the fancier varieties. Some standard burger toppings (tomatoes, onions and the like) are free to add. Kids meal options are a hotdog bucket and a grilled cheese bucket, each of which includes fries or fruit and a drink for $5. Service has some kinks to work out. You order at a counter, take a number, and then somebody brings out your food. Our burgers took about 15 minutes today. That’s obviously too slow for a restaurant like this on a normal day, but let’s cut them some slack since they just opened. I’m going to give them the benefit of the doubt and assume they’ll get that down to five minutes or so. Why five minutes? Because I’ve arbitrarily decided that’s how long I’m willing to wait for a burger at this sort of restaurant. My father ordered the stuffed pepper jack burger ($7.50) and a side of sweet potato fries ($2.50). I went for the black and blue burger ($7.50) with waffle fries ($1.50). The fries come with dipping sauce. My dad enjoyed his burger. He noted that he wouldn’t have minded if it were spicier. He’s a sucker for sweet potato fries so he was fine there as long as they didn’t screw up the frying time. I had the black and blue burger. I’m pretty torn about what to say here. Let’s start with the good. It was a very tasty burger. The meat was very juicy and quite tasty. The bun, from Le Quartier, was very nice in a simple, understated sort of way. The lettuce was fresh and green. And the pepperjack cheese had a pleasant flavor. See, I liked my burger. It was a very tasty burger. It just wasn’t a black and blue burger. A black and blue burger requires three things: a hamburger patty, black pepper, and blue cheese—real blue cheese, the crumbly stuff, not that creamy goop that masquerades as blue cheese. Other components are possible—bacon being a very notable acceptable addition—but you have to get those three things right. 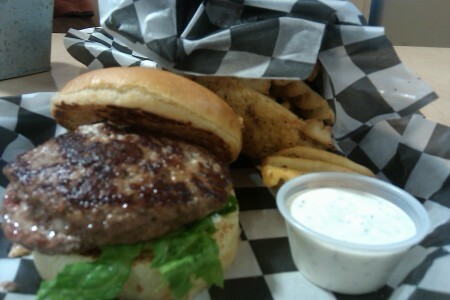 On my burger black pepper was not a major component. And the blue cheese? There were two big problems. The first is that it was a sauce rather than crumbles. The second is that I’m not even convinced that what was on my burger even WAS blue cheese. It sure tasted and looked an awful lot like the ranch dipping sauce I was using for my waffle fries. If there’s any crime worse than using creamy quasi-blue cheese instead of blue cheese crumbles, it’s pretending that ranch is blue cheese! Now, I’m not actually going to go so far as to make that accusation. My eyes and taste buds have lied to me before. But what was on my plate didn’t walk like a blue cheese duck or quack like a blue cheese duck, so I don’t think it was a blue cheese duck. My waffle fries were delicious. They were fried relatively soft (but not undone), just the way I like them. The seasoning was tasty and not over-applied. And I love the fact that you can choose from a list of sauces to join your fries. All in all, Crave makes tasty, if pricey, burgers. They have some refinement work to do, but given the neighborhood and their neighbors I think they fill an appropriate niche. Hollenbeck Farms has got themselves a great new way to market their products. Apparently Crave has opened next to Chipotle at 29th and Pine Lake Road. The brand new burger joint brought to you by the folks at Hollenbeck Farms. The long and short of it is this is no McDonald’s. Instead, Crave appears to be positioning itself more in the Five Guys realm but with a more refined touch. I limit my meat consumption so, although I will make it to Crave eventually, I’m not sure when it will happen. Please do let us know what you thought if you happen to stop by. It’s no surprise that Lincoln is going to need a new high school some day. After all, we’ll be hitting 300,000 residents before we know it. So early talk about a new high school makes sense, right? Well, sort of. But I think a question has been skipped over. It’s fine to plan for the inevitable Stevens Creek High, I first would like to know how we can address increasing enrollment by filling the spots already available to us. While North Star, Southeast, and Southwest are all sitting around 1,900 students or more, Lincoln High, East, and Northeast are at 1,500 or below. Local taxpayers aren’t going to be eager to fund a new high school until they’re sure that existing resources are being fully utilized. There’s another matter to consider, even though it’ll make many folks cringe. What about athletic facilities? Like it or not, it’s a topic that’s going to come up. Seacrest is fairly well packed with football and soccer games already. There have been rumblings for at least a decade about a high school sports complex down by Haymarket Park. Perhaps that conversation comes back alongside the talk of a new high school. One thing is certain: a new high school isn’t likely to stick with the tradition of using compass points in its name. Lincoln East Southeast High School just doesn’t cut it.